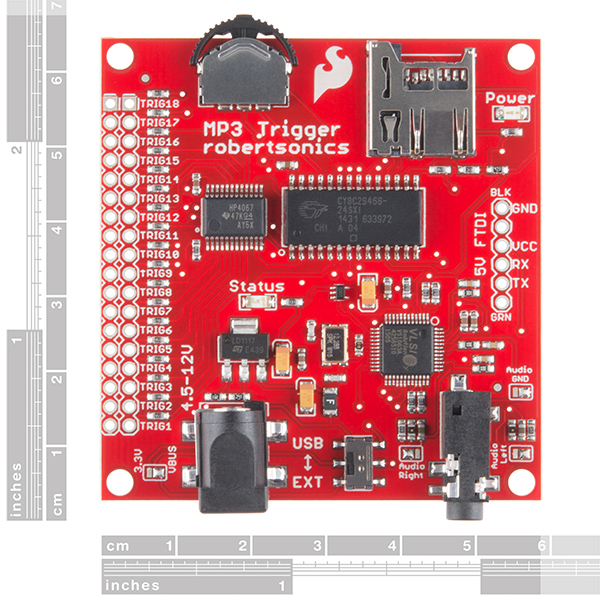 Get Started with the MP3 Trigger Guide! 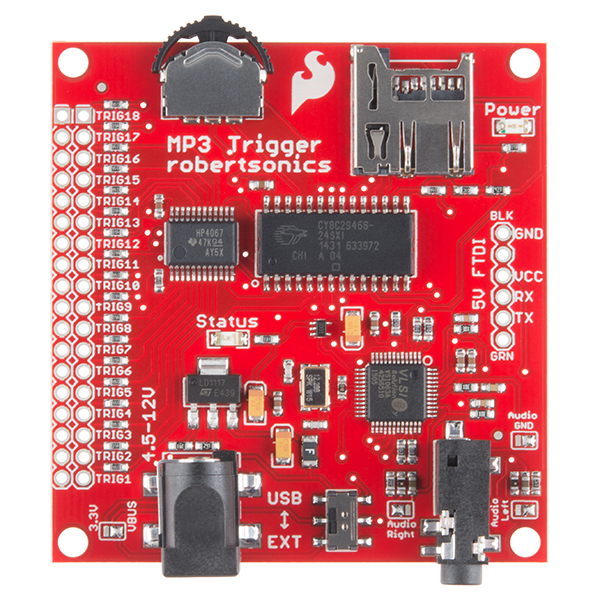 We have a handy set of tracks for testing a MP3 Trigger. Each track is a spoken word that says the name of that trigger. Trigger 1 says "One" 2 says "Two" etc... available here on request. Unzip these to a freshly formatted SD card and you're in business. For anyone that has the older version without the line out jumpers, this ground loop isolator should protect their board. Ugh, it's been a few years since the last revision. This is over priced, and you still have to add an amplifier circuit and sd card for storage. There are cheaper ways to get triggerable sounds without mp3 or sd card, and still have usb mountable storage. Search google for "audio fx sound board trigger", costs half the price of this. This is working great for me for playing "Fuel Low" alarms in my headset while I'm flying my homebuilt airplane. I'd like to modify the source code to do some other neat tricks. I'm not new to embedded software but I'm new to gethub. Should I be able to get to the source code by going to the gethub link? I can't find the source code anywhere. The source code for this board is not currently available, as per our collaborator's discretion. However, you are correct that when source code is available, github is usually the best place to find the most up-to-date version. Great board! I finally got my character up and running using it! You can also hook it to a bluetooth transmitter and really pump the volume. I just used a simple car transmitter to make it work. I might be something that would be handy to add to the board in the future. This board is way overkill for my project, BUT it works. I have wasted a lot of time with the cute little jobs for $5. They are unpredictable and unreliable. The MP3 Trigger does the job. One caveat - if you are waiting for an available character on the RX line for the end of the file - be sure to empty the buffer first. The extra characters that are sent in the "quiet" mode are there, too. This is super easy to configure, although you need to solder a jumper if you want it to play all files automatically. Perfect for situations where you need to play audio files automatically on power-up, or trigger different sounds depending on which input is grounded. A bit more detail in the users guide would have been appreciated as I found the parts about automatically triggering all sounds confusing, and the setup information in general was confusing. 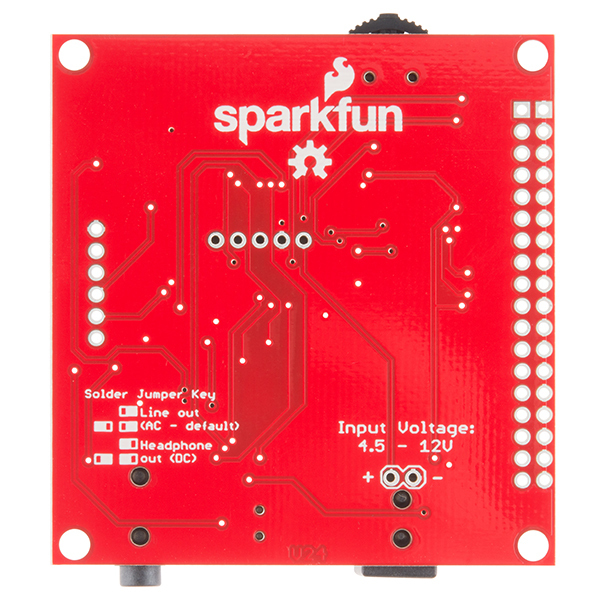 However the tech support provided by Sparkfun was over the top: both fast and very helpful. I bought seven and am very happy with them. Note: if your board seems to be dead when you power it up, you probably have the voltage input switch set the wrong way. Couldn't be happier with this product such an easy board for starters. The only complaint I have is that its $50. But I guess if I came out with a great product like this I'd charge that too. If u wanna use some sort of switches it would do the job. But if i had known that if u wanna use it as a standalone, and trigger some sort of sensors like: motion / pir / temp . 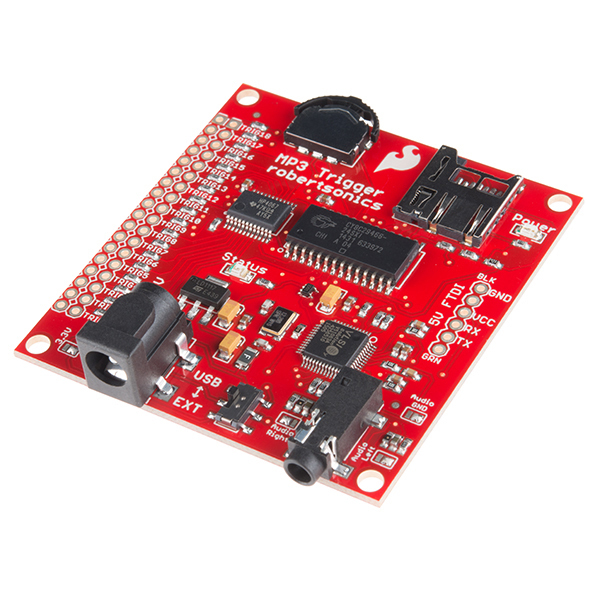 Then u need a arduino/ sparkfun board. I needed it for a project to trigger more then 4 pir sensors And to trigger the sound corresponding to that channel. Makes for an excellent Doorbell system. I wired the doorbell switch's (no lights) to the triggers and the audio output to an audio amp which feeds my speakers. Works fantastic. I can have different sounds for each doorbell and can easily change them anytime I want. For museum exhibits, inexpensive, simple, reliable, recommendable. Will purchase more as needed. This unit has never failed me. I use this board to create sounds for products I make and sell all over the world. It is a reliable and dependable. They ship fast too. It do exactly what it's supposed to do. I am using this with my Arduino. I was going to use one of the triggers to activate a sound file for a Halloween Prop controller I'm building. The serial control was so easy to set up and use, the code minor in nature. I use the Software Serial example so it frees up the USB to upload revisions to the sketches. I find the MP3 Trigger easier to use than the MP3 Shields I've used in the past. I highly recommend this item. It's easy to use, compact and versatile.